For tickets and more information please visit www.blueandwhitegala.org. 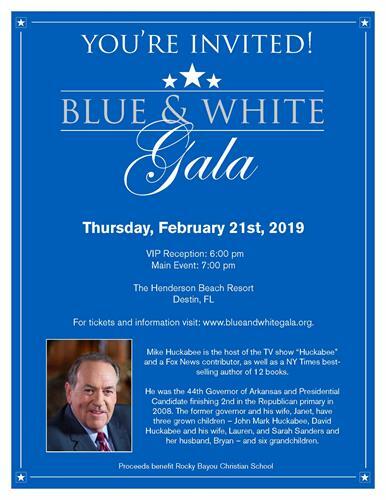 Join Rocky Bayou Christian School for the inaugural Blue & White Gala, featuring keynote speaker Governor Mike Huckabee, on Thursday, February 21st at The Henderson Beach Resort in Destin. Enjoy the VIP Experience with a reception featuring a meet & greet with Gov. Huckabee and passed hors d'oeuvres from 6:00-7:00pm. 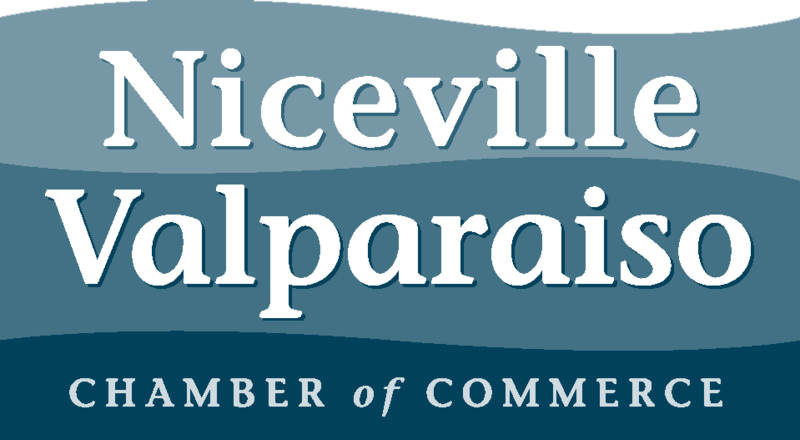 The main event will begin at 7:00pm with an upscale buffet dinner and keynote address from Gov. Huckabee. There will also be a special musical performance. Mark your calendar and plan to attend this dinner and elegant evening out with Governor Mike Huckabee.